Both Samsung and Honor have released their in-screen camera phones this week. I just found this picture: compare the hole of View 20 and the hole of Samsung. It is obvious honor's is much smaller. 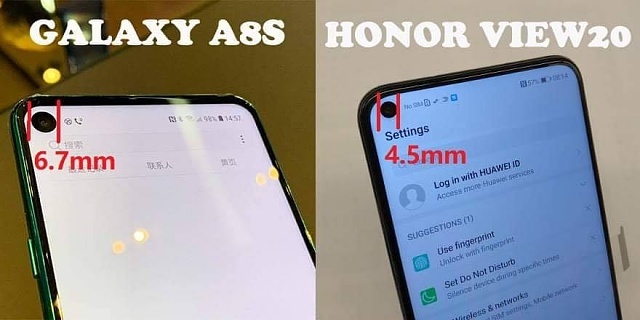 Honor claims View 20 in-display hole is 4.5mm, 1.5mm smaller than Samsung A8s's solution. It is somehow a little awkward Samsung's and Honor 's showcases fell on the same day. But I think Honor wins this round. I like the hole-punch screen (compared with the ugly notch) and it actually extends the screen to body ratio to a high level, nearly 100%. If 2018 is the year of notch, hole seems the new trend in the coming 2019. Which band is next? The size of the hole means little. When it comes to cameras, sensor size, pixel density, and aperture are going to make the difference in performance. Not the outer casing and cutout for the components. 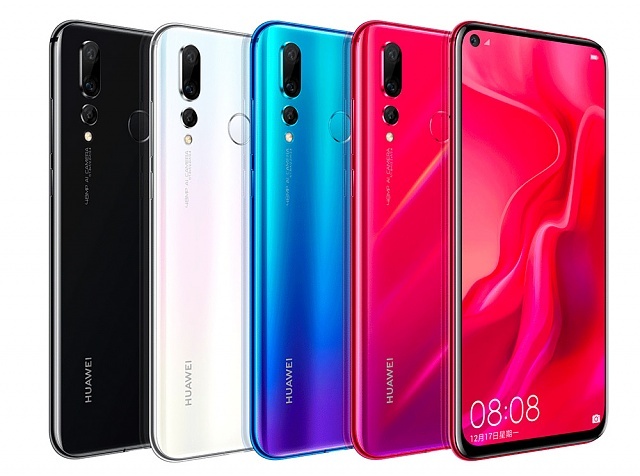 For the hole-punch display, Huawei Nova 4 has joined the competition, which was announced in China yesterday. Looks quite similar with Honor View20, they all have the 4.5mm hole-punch design that does make them more competitive than Samsung A8s 6.7mm front camera. Unlike the View20, the Nova 4 is powered by the Kirin 970 processor. Honor’s newer phone will use the newer Kirin 980, which I really look forward to! By Shantek Studios in forum New to the Forums? Introduce Yourself Here! Can anyone please tell me how i get rid of the pointing hand that appears when i unlock my note 9? Qwerty keyboard will not come up on my Samsung s8 Note. How can I get it to show up?? Can anyone help? I have no idea how to fix my Samsung Galaxy note 8 tablet.